The beach itself is not nearly as impressive as places in the south of Thailand like Phuket or Krabi, but its location and the peace and quiet of the town is what attracts visitors. Many Thais come down for the weekend, so during weekdays Hua Hin in relatively quiet, but the population swells every weekend. There are tons of hotels and guest houses to choose from, some of them facing the ocean, while many of the budget options are a little back from the beach in the neighborhoods of the town. 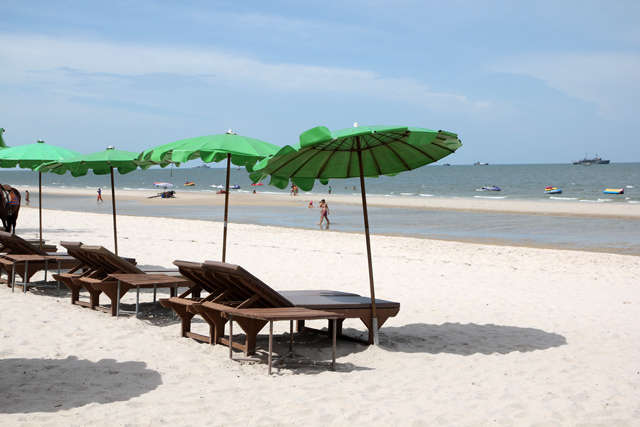 Hua Hin is a classic beachside resort town offering many seaside activities like pony rides, flying kites, or taking a thrilling ride on a banana boat. 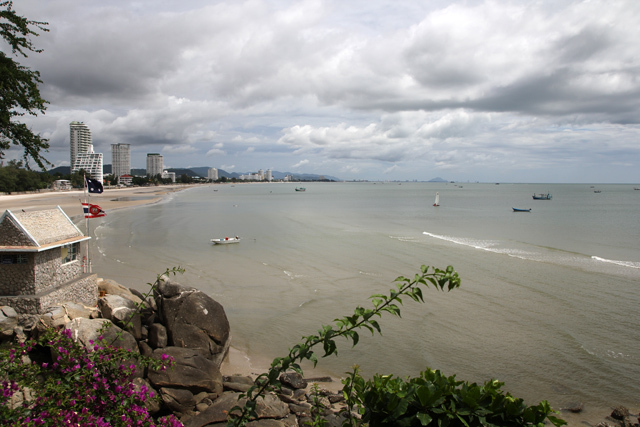 Along with lazying by the ocean or swimming pool or doing watersports, Hua Hin has quite a few other attractions specifically for those that want to get away from Bangkok without touching the water. 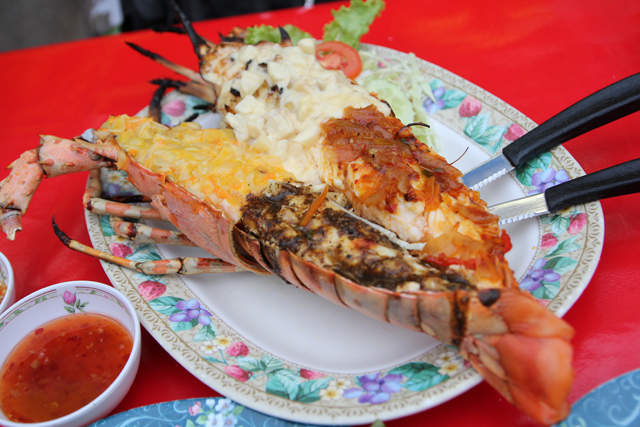 One day when we were in Hua Hin, we decided to check out a place known as Plearn Wan. This retro cowboy village was set up to look like the Wild West. Within the small touristy center there's a number of cafe's, restaurants serving Thai noodles, and all sorts of antique and boutique shops. I couldn't help but chuckle seeing groups of Thais taking photos and excited to be in the Wild West! 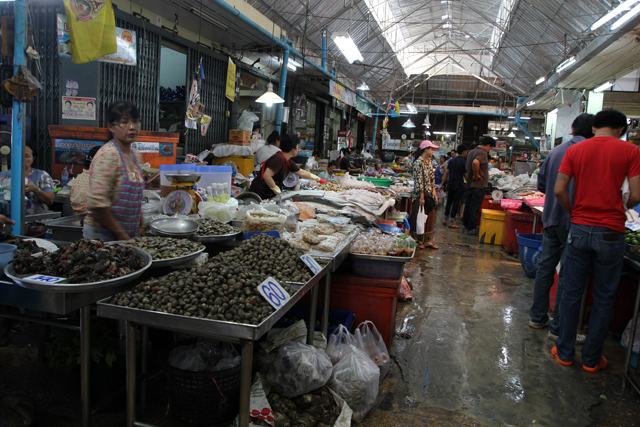 Hua Hin's main night market, located directly in the center of town and outside the daily fresh market, is one of the best places to visit during the evening. The street closes to all motor vehicles and stalls of clothes, souvenirs, crafts, artwork, and restaurants open up. One of the best places to eat dinner is in the Hua Hin night market where you'll find a variety of incredibly tempting seafood restaurants. Like everywhere else in Thailand, food is one of the main attractions, and there are no shortage of restaurants in Hua Hin to cater to every taste. For dinner, like I mentioned above, there's no better place for seafood than the night market. I went to a restaurant called Lung Ja Seafood restaurant, and though I had no plans to eat it beforehand, I ended up ordering an entire 1 kilo lobster. It was marvelous! Breakfast is served at many of the hotels, but if you're looking for a local experience, you can head over to the streets opposite the night market where they serve a variety of breakfast Thai dishes like jok (rice congee porridge), khao moo daeng (red pork and rice), and khao man gai (rice and chicken). 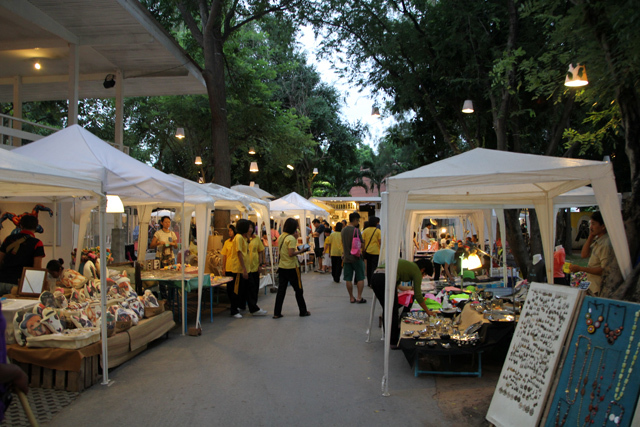 On weekend evenings in Hua Hin, there's another night market which opens on the edge of town. It attracts huge crowds that come for the upscale arts and crafts, the food court, and the live drama performance (though it's only in Thai). Hua Hin is not the greatest beach destination, but it does have quite a few interesting things to check out and is especially a wonderful escape from the business of Bangkok.